Understanding “normal” – The “average” career track is to get a good education, find the best paying job and retire early. Kingdom changes all that. Now we have a book (calling) that is, in general, to bless nations and specifically to find our mountain where the passion that God wrote in our hearts is fueled. Here’s where we begin to connect our ministry and our vocation or business. Once we taste the ministry component of our calling, it’s impossible to retire from it—it’s too much fun to outgrow! Now we are leaning to our dreams and thinking of our vocation, finances and ministry like a business. The concept of creating a business that expresses my book, creates value for others (ministry) and builds over a lifetime so that I never retire, I just delegate more. I am building God’s Kingdom through the legacy of my own calling. From the beginning, I’m finding those who share my vision and birth sons to work with me and share the vision God wrote in our hearts. The business / ministry / sons continue after I’m gone . . . so does the Kingdom btw! Wealth – Making money is not an empowering vision. But creating value for other people is motivating! It has a ministry component and it multiplies wealth because people are very happy to pay for things they value. In fact, one aspect of God’s Kingdom economy is that when people buy something of value from me it also creates value for them—that’s part of why they buy. We both make money on the transaction and new wealth is created! That’s why the world’s money supply is not stagnant. It multiplies every year with every transaction. The first goal of my business (and my ministry) is creating value for other people and multiplying wealth as a byproduct. Multiplication #1 – The first goal of my business and life is creating value. My life has purpose and a byproduct of my creativity and industry is creating value for others which, in turn, creates wealth. If I start a business or my life with the goal of making money it will wear me out. God has wired my heart to put His Kingdom first to create value. Everything else is added (abundantly) when my priorities are stacked in order. I’m a steward of my gifts and callings and God expects “His minas” to multiply. That means the business or vocational side of my life is well run. I manage cash flow, deliver a product and treat customers, coworkers and suppliers really well. Why? I can connect the dots between the value created by my business and the call God wired into my heart. It’s something I’m intrinsically motivated to do from the heart. I’m no longer a servant or a slave to a meaningless job . . . I’m building God’s Kingdom and taking my place as a king and priest. As opportunities arise, I create additional value and products and add multiple streams of income. I’m adding wings to my business or starting new ones throughout my life. I’m also creating space for the calling on the sons who help me. Instead of hiring hirelings, I’m creating co-owners and franchises who share my passion, vision and enthusiasm. There really is a ministry component in business relationships with employees, customers and suppliers. It almost feels like church—wait, it is! Micro-church #2 – Another branch of the business that I can recognize the dreams wired into other hearts and release passion and ministry and make a difference in a mountain. I can recognize 5-fold gifts and leverage them in business. There are no boundaries preventing me from ministering to the people around me and creating an environment where they can encourage one another in priestly ministry. Blessing nations #3 – Kingdom businesses are organic and alive because they reflect the calling on the people working in them. 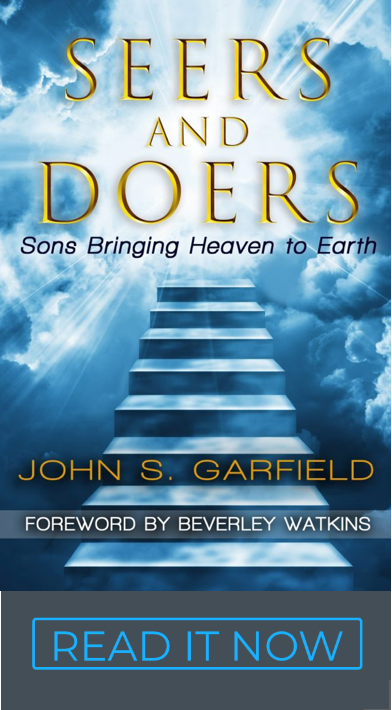 Businesses have a book and a Kingdom purpose because the people that run them have books and purpose and destiny. A business that is good at creating value for other people will be like cups that overflow. It doesn’t just exist for itself or its co-workers or its leaders. Businesses increasingly carry a mantle to redeem nations. In secular circles that influence is called social justice. It’s amazing to me how God can use seemingly secular companies and business people to build His Kingdom. Their hearts are wired with some aspects of God’s heart even before salvation. The biggest “Why” – Building a great life through a great company depends on purpose. Everyone is inspired by a great “why.” 1) Creating value for other people is a foundational “why.” The wealth it creates doesn’t hurt either. 2) The ministry we have for co-workers and customers is a great “why” that bears fruit. But the biggest “why” comes when, 3) we can see our role in the biggest “why” on God’s heart. We’re doing what the Father is doing to redeem nations. We are part of the next reformation. Sons are displacing principalities so that, you Lord, can rest in your land—the nations. Your heart will rest when your inheritance of nations comes back to you. The earth is your footstool (Isa. 66:1), but at present we don’t yet see every nation subject to you (Heb. 2:8). Your sons are called to lead your nations so they are freed from being “goat nations” and carry your blessing. Ps. 2:8 . . . I will make the nations your inheritance, the ends of the earth your possession. Ps. 82:8 . . . all the nations are your inheritance. It all starts when you and I think about investing our lives in our books in the context of a business that creates value and wealth, blesses people and blesses nations. It’s fun to dream . . . even more fun make the dream come true. Chuck Blakeman has written a great book on the fundamentals of business that I highly recommend – Making Money is Killing Your Business. His TED talk on the Participation Age is excellent and he recommends Firms of Endearment. We’ve written a great prior blog on Creating Value that is worth reading. Post Script – What kind of business should I start? Most startups are built around the personal interests of the entrepreneur. Our values may not reflect what customers want, which is the foundation for any sound business. The first ingredient of a viable business is always customer demand. It’s seldom what we think people “should” want. When we start combining ideas like business and ministry “religion,” can suggest lots of ideas that no one will pay for. Good businesses are not built on offerings or marketing. They are built on customer demand. Startup capital, stock offerings and marketing never cure a simple lack of demand.